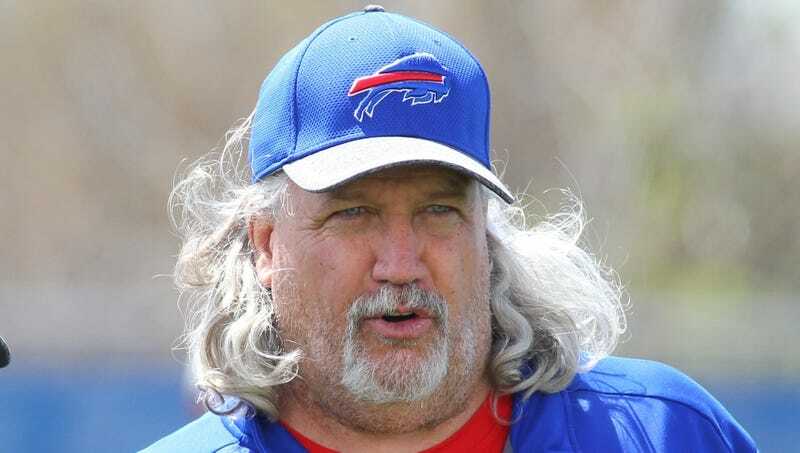 Rob Ryan, erstwhile Saints assistant and current Buffalo Bills beverage lad, was the subject of a hilariously botched robbery plot while he was coaching in New Orleans, according to a report from the New Orleans Advocate. About a year ago, as the Saints were playing their third preseason game, a federal government employee living in New Orleans received a voicemail from someone who called her on accident. In the voicemail, the caller went over vague plans to attack and rob Rob Ryan. The call recipient turned over her evidence to the New Orleans Police Department, who began patrolling Ryan’s neighborhood and trying to trace the call. Eventually, they tracked the errant voicemail back to two suspects, who had each been incarcerated for different crimes by the time police figured out who they were.